We offer the best quality products to our clients. We have installed the latest technology and a talented team of quality expert to ensure it. Our fabricated products sets are an example of excellent engineering process and are revered as the most reliable in our industry. We have upgraded technological capabilities by acquiring sophisticated QC machines surface table, dial vernier, micrometer, bore gauge, depth micrometer, depth vernier and dial gauges. This has given us competence with the best in the world. 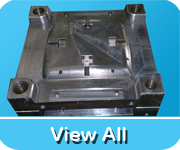 We assure of superior quality products and are satisfying are clients to its fullest.